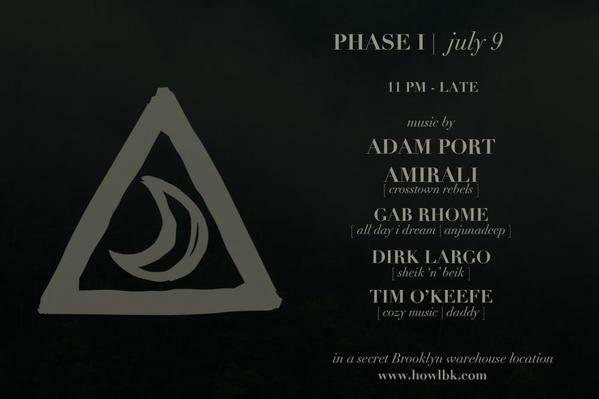 Secret Brooklyn location - featuring a Funktion-One soundsystem. 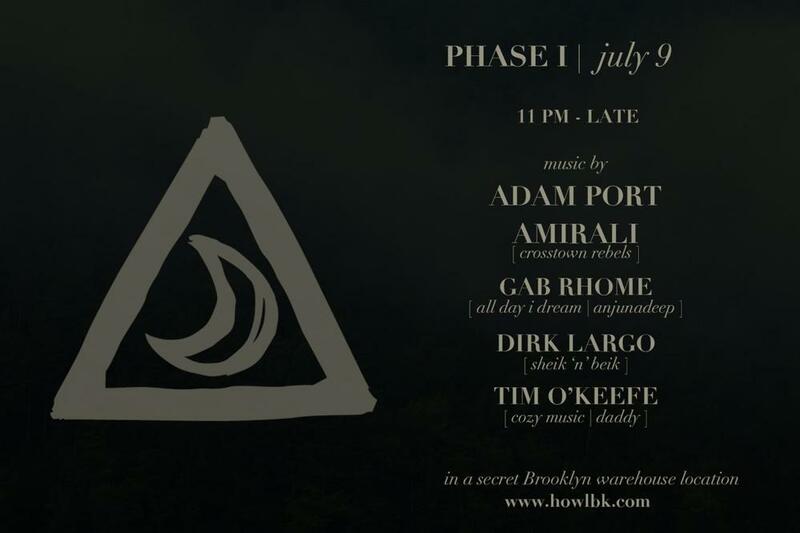 Join us for PHASE I of HOWL, a gathering to celebrate the energy of the moon and channel her powers through dance. Step into the unknown to be greeted by sounds, wonders, and dancers of the night. PHASE I we dance under the Waxing Crescent, a time for spells that attract and bring positive energy; spells for love, good luck and growth. This will be a time for new beginnings, to conceptualize ideas and to invoke. This night is symbolic of growth, manifestation, and attainment. Together we will open our minds and allow our dance to fuel the unimaginable. We look forward to meeting you on the dancefloor to begin this new magical gathering.